From May 2-9, about 200 Canadian Army members from 1 Canadian Mechanized Brigade (1 CMBG) will engage in the U.S. Army’s multinational Joint Warfighting Assessment (JWA) exercise in Grafenwöhr, Germany. 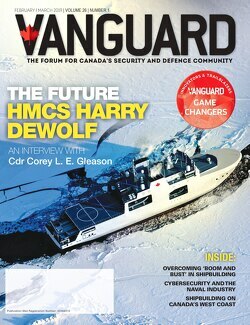 “The JWA provides the Canadian Army, working closely with partner nations, an opportunity to trial and integrate new and emerging concepts and doctrine into potential real-world conflict scenarios,” said Colonel W.H. Fletcher, Commander, 1 CMBG. Master Corporal Jason Cox (front left) and Corporal Cory Walker (back right) from 1 Canadian Mechanized Brigade Headquarters Information Management work with Lance Corporal Ruth Tietie (back left) and Signaller Nicole Temaipii (front right) from 1 Command Support Regiment of the New Zealand Army on April 26, 2018 in preparation for the Joint Warfighting Assessment 18.1, beginning on May 2, 2018 in Grafenwöhr, Germany. Photo: Lieutenant Ken Jacobson, Public Affairs Officer© DND/MND 2018. 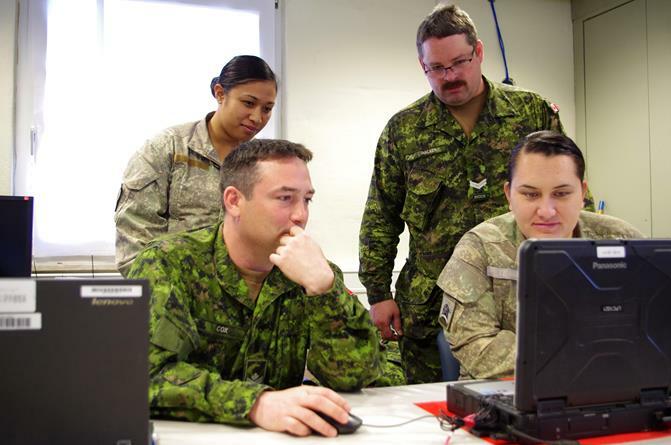 In the lead up to the Joint Warfighting Assessment 18.1, 1 CMBG Headquarters staff participated in Exercise VIRTUAL RAM, a computer-assisted exercise conducted in mid-February at the Edmonton Garrison. Soldiers spent a week exercising the operational planning process at the unit-level while performing operations in a complex environment. This exercise helped to prepare members of 1 CMBG, based in Edmonton, Alberta and Shilo, Manitoba, to participate in the computer-aided exercise (CAX) simulation in Germany. The CAX, which is taking place at the United States Army Garrison (USAG) Bavaria in Grafenwöhr, Germany, has “a focus on new and emerging concepts, capabilities, organizations and doctrine,” according to the news release. Members from 1 CMBG and their counterparts from France, Germany, the United Kingdom, and the US Army are participating in the Joint Warfighting Assessment. The exercise, which is hosted by the 7th US Army Training Command, will help prepare 1 CMBG for the start of the year-long Road to High Readiness scheduled to commence this fall.